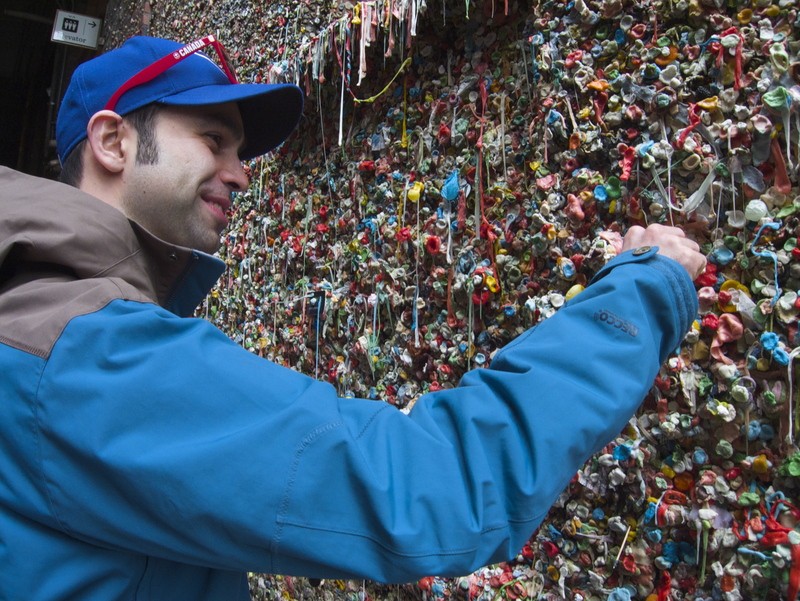 The Market Theatre Gum Wall in Seattle is ranked the 2nd germiest tourist attraction in the world – The first is the Blarney Stone. 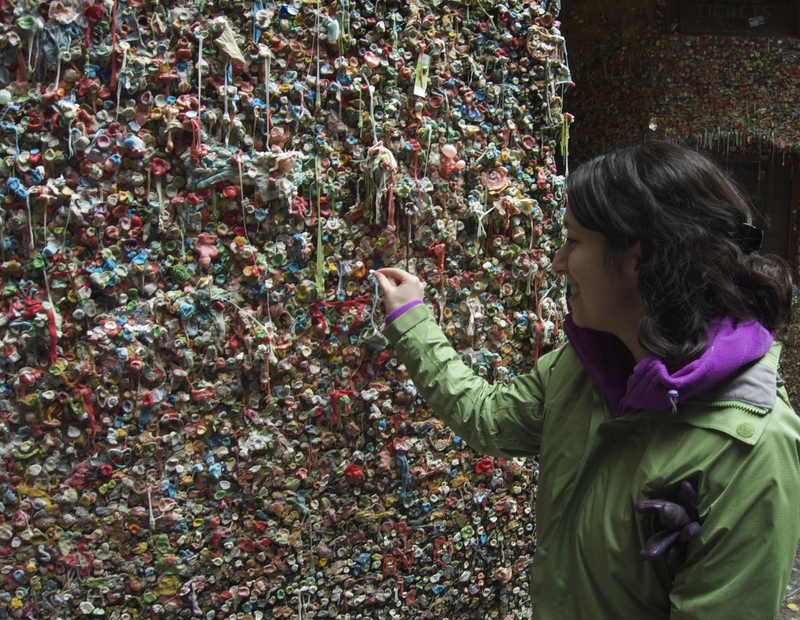 While this may sound like something that should generally be avoided, how could you possibly resist ogling gobs of gum, inches thick, on a brick wall in an alleyway? Matt and I certainly couldn’t! 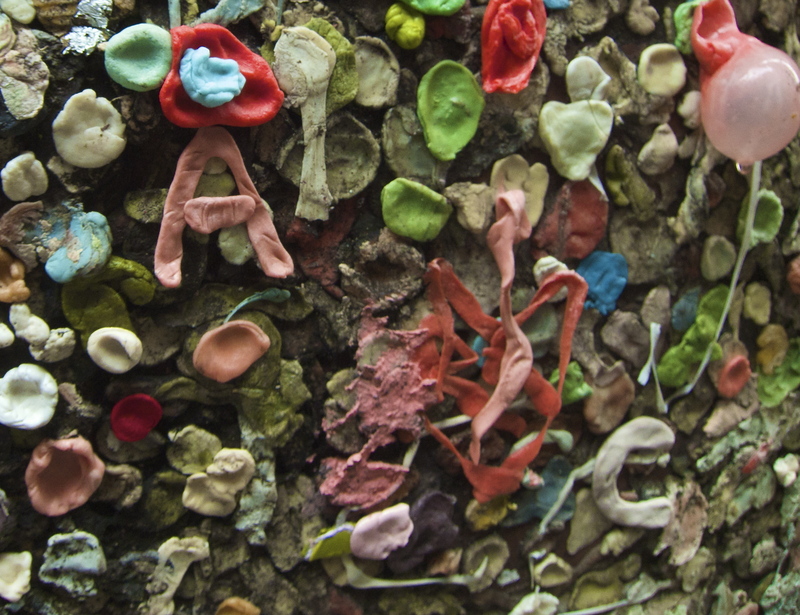 The real question you need to ask yourself is: Do you dare contribute to the mass of ABC-G (Already Been Chewed Gum)? Photos should be taken quick, who knows what lurks on this wall…. 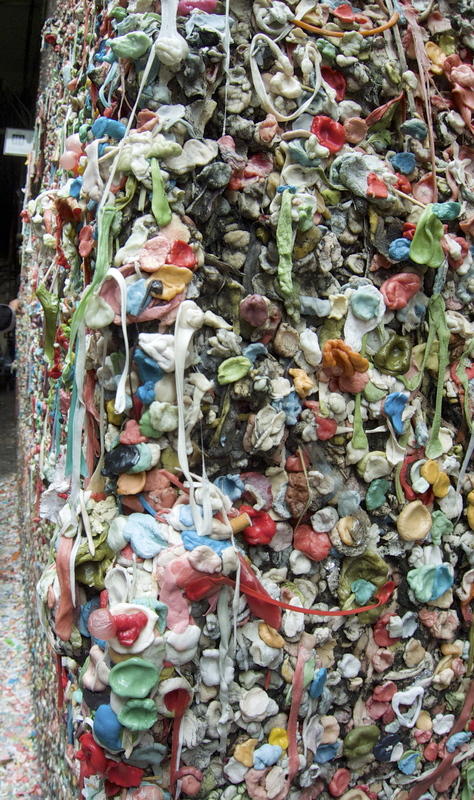 The Gum Wall can be found in an alleyway underneath the Public Market. 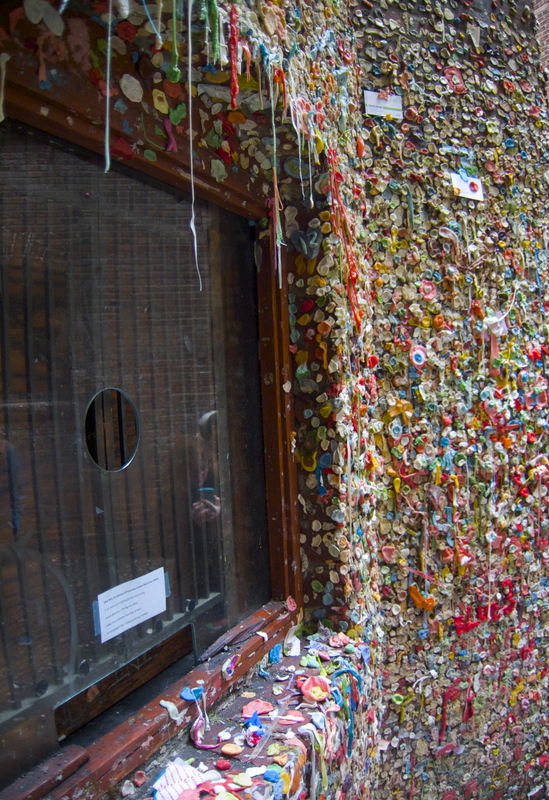 According to Wikipedia, The Gum Wall tradition began around 1993 when the theatre’s patrons stuck gum on the wall and squished coins into the blobs. 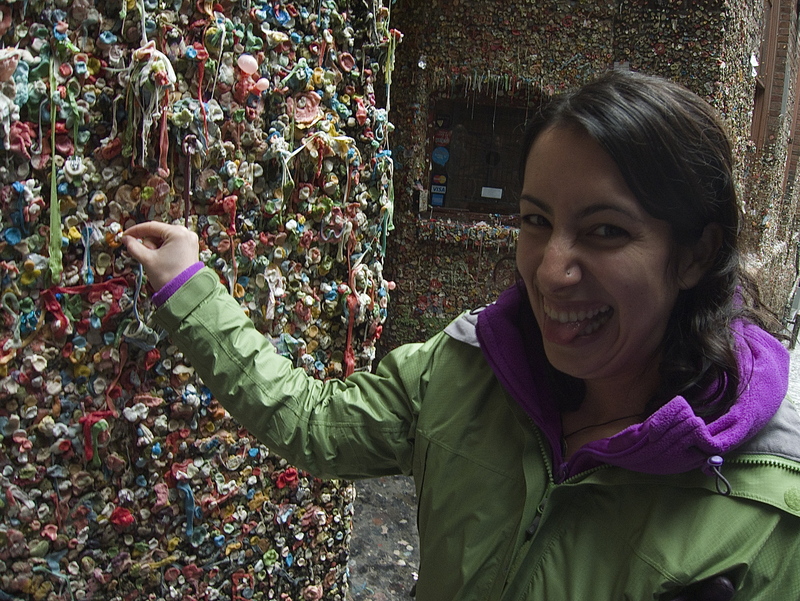 Theatre workers tried in vain to scrape the gum away, but eventually gave up. In 1999, the site was deemed a tourist attraction. 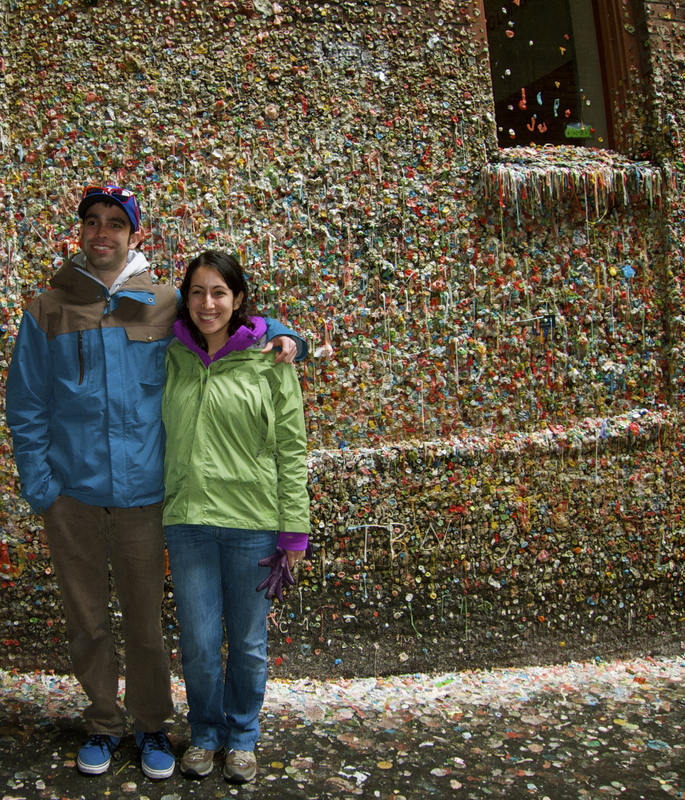 We of course posed for a token photo, being extra careful not to step backwards. I would not want to get stuck to the wall – one would need a lot of peanut butter to free your hair. A final thought: When I initially saw the wall, one of the first things that came to mind was ‘I bet this has been the location of many disgusting dares’. 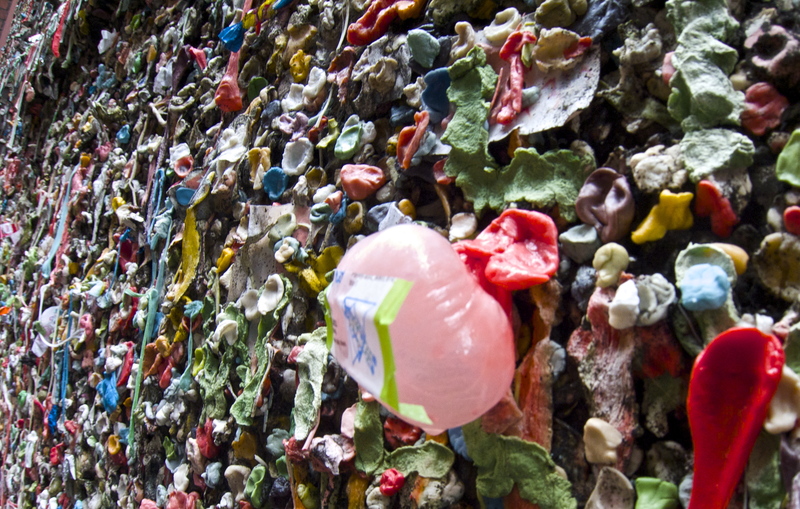 I am revolted to report that a quick You Tube search revealed that people have both licked, and chewed the gum on the wall – yuck, yuck, YUCK. These videos are not for the faint of heart or stomach – beware.